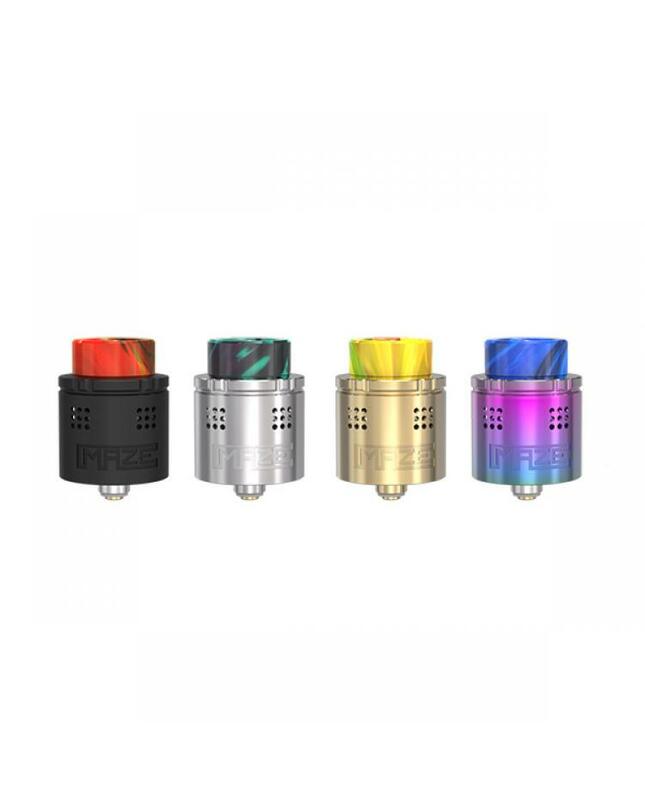 Vandy vape maze sub ohm BF RDA, made of high quality stainless steel material, four fashionable colors available, all parts of vandyvape RDA disassembled, the new maze RDA is the first sub ohm RDA compatible with regulated and mechanical mods, can hold 2ml e juice, five different airflow directions will provide smooth airflow. 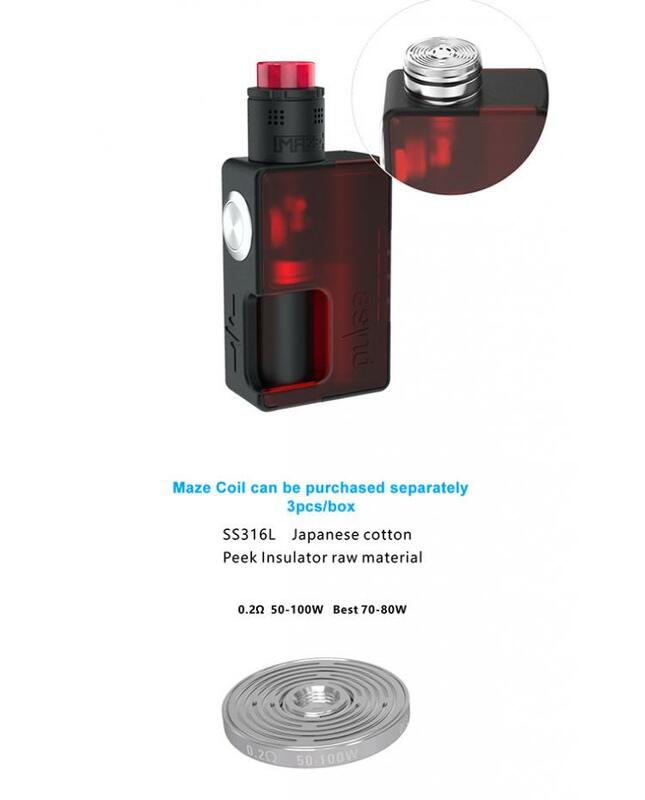 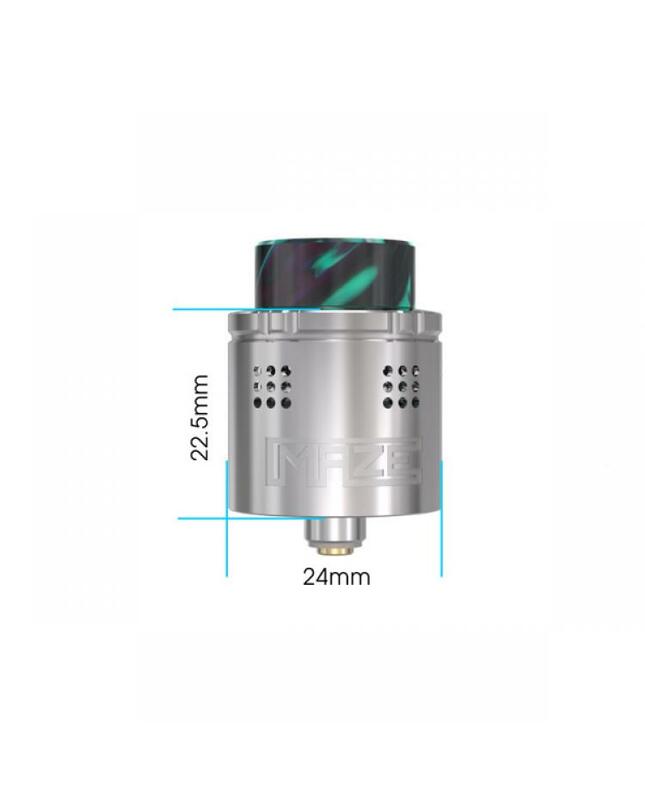 the vandyvape maze tank comes with innovative design coil heads, the maze coils are distinguished from traditional sub ohm coils, which made of SS316L vape wire and organic cotton, the base made of peek insulator raw material, the resistance of the coil is 0.2ohm, best works between 70w to 80w. 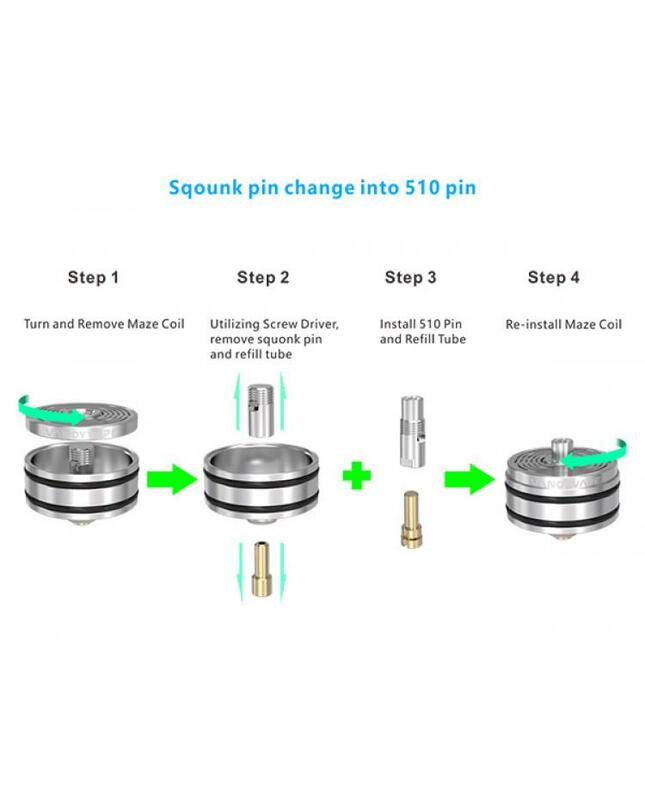 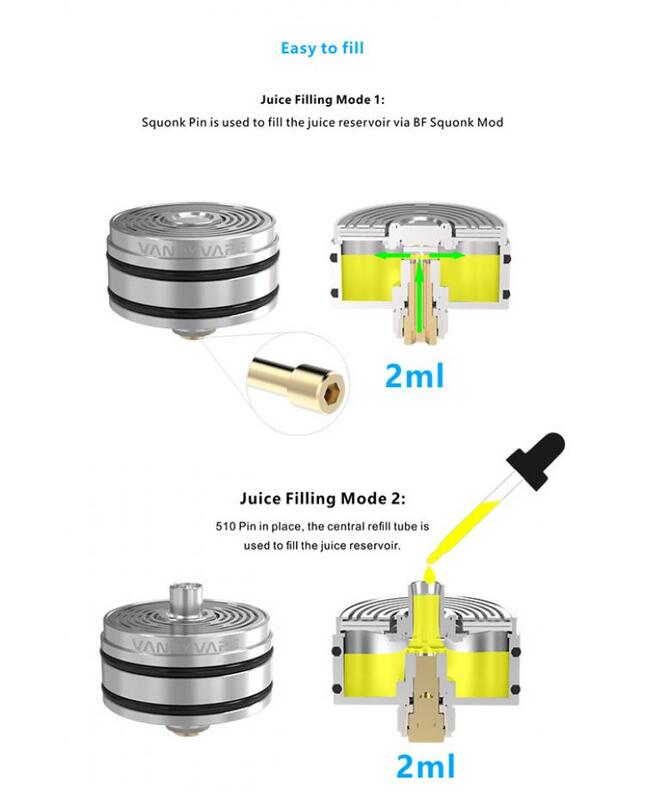 vapers can inject e juice from the 510 pin in place, the central refill tube is used to fill the e-juice reservoir.and if you installed the squonk pin, you can use it to fill the e-juice via Vandy vape pulse mod. 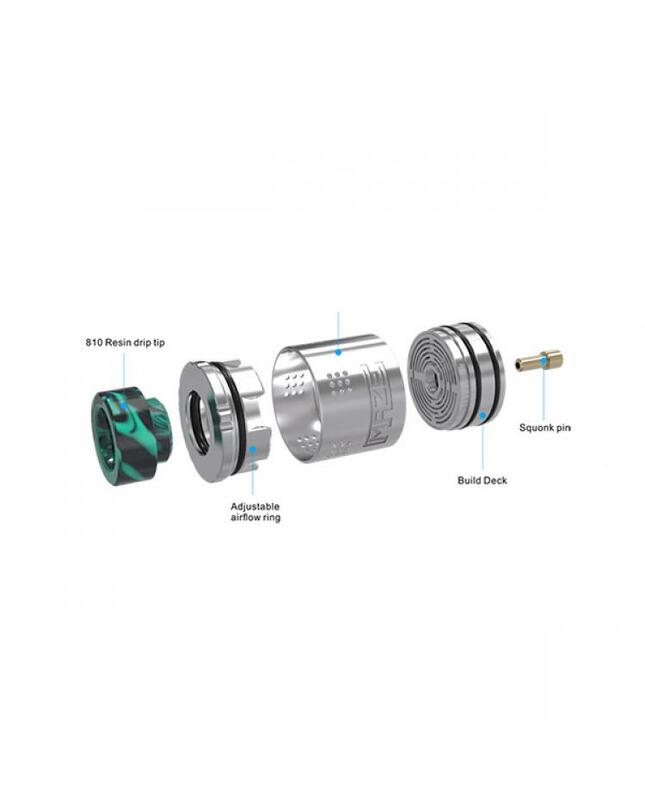 the new Vandy vape RDA will provide better safety and compatibility.